The Morrill resident grabs the lead on lap 227 and holds off Austin Theriault. 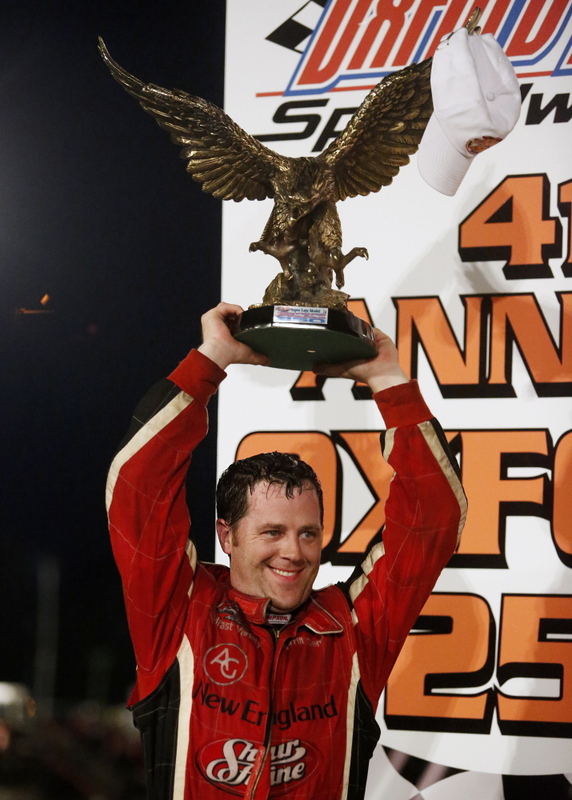 OXFORD — Travis Benjamin said he wished he’d enjoyed his first Oxford 250 win a little more while it was happening in 2013. 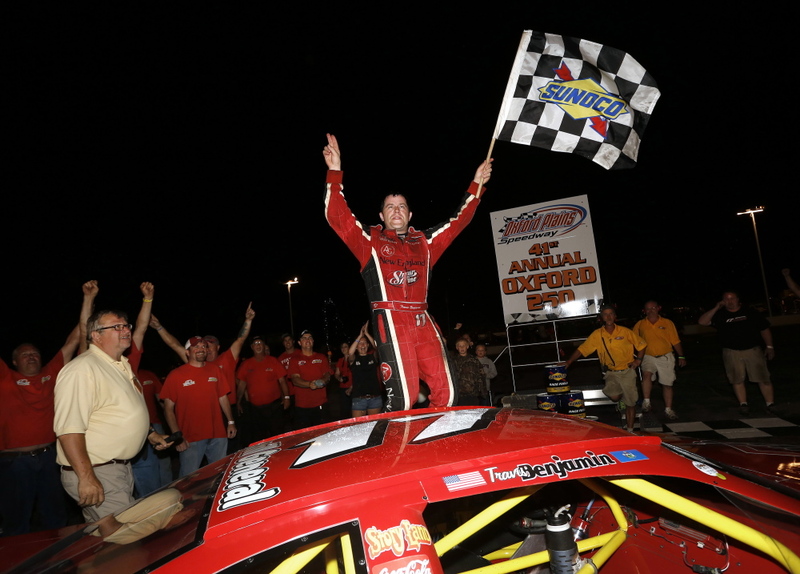 The 35-year-old from Morrill got the chance to relive it when he took the lead from Richie Dearborn with 23 laps and held off rising star Austin Theriault to win his second straight 250 Sunday night. “I tell you what, I just told my father I’m not going to work tomorrow morning,” Benjamin said. “I went to work the next morning last year and was pumping gas at 7 o’clock in the morning and it set me back to reality early. “I never thought one was going to happen. Now we’ve got two. I’m going to enjoy it,” Benjamin said. Benjamin started 27th and said his crew deserved lots of credit for subtle adjustments and for encouraging him to be patient. 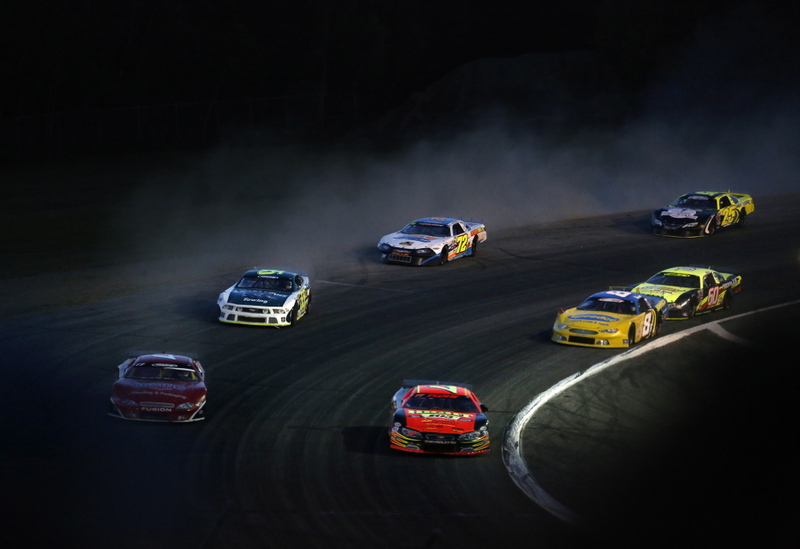 But when the race was winding down with nine laps to go, Benjamin took the initiative to split Mike Rowe and Trevor Sanborn on turn three, a move eerily similar to his winning maneuver in 2013. This time it kept Theriault from getting a chance to gain ground. Benjamin and Theriault, who led laps 87-110 and 114-184, had put on fresh tires with 66 laps to go and were clearly the class of the field, racing quickly back into the top five and then getting closer to the lead when the final caution flew at Lap 217. Benjamin became the first repeat winner since Eddie MacDonald pulled it off in 2009 and 2010. 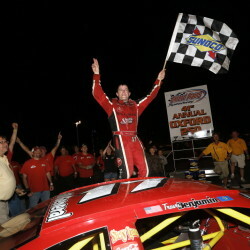 Theriault, the rising star from Fort Kent, who led over 100 laps, finished second. Theriault said that shortly after the last restart his car, which had worked great all weekend, lost something. He didn’t think it was caused by a slight bump with Benjamin on Lap 223. But when Benjamin cleared Dearborn, it took Theriault several laps to do the same, giving Benjamin a significant lead. Theriault, of Fort Kent, has made two NASCAR Nationwide starts this year and also won an ARCA race at the ultra-fast two-mile Michigan International Speedway. Dearborn held on for third. He received one of 10 provisional starting spots as the top point scorer in PASS North who did not qualify in heat races. Dearborn started 40th in the 44-car field. It was Dearborn’s best finish at the 250. 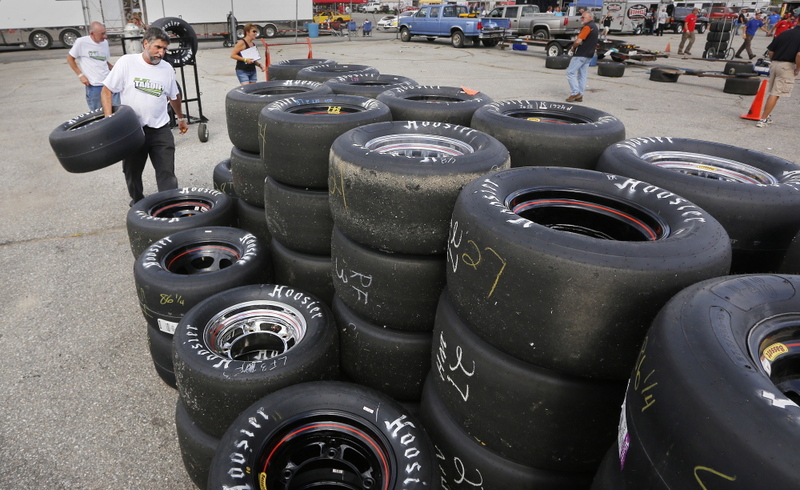 “I knew they were coming it’s just their new tires took over and we did the best we could,” Dearborn said. Dearborn had taken the led from Cassius Clark on lap 220 and held it until Benjamin took it. 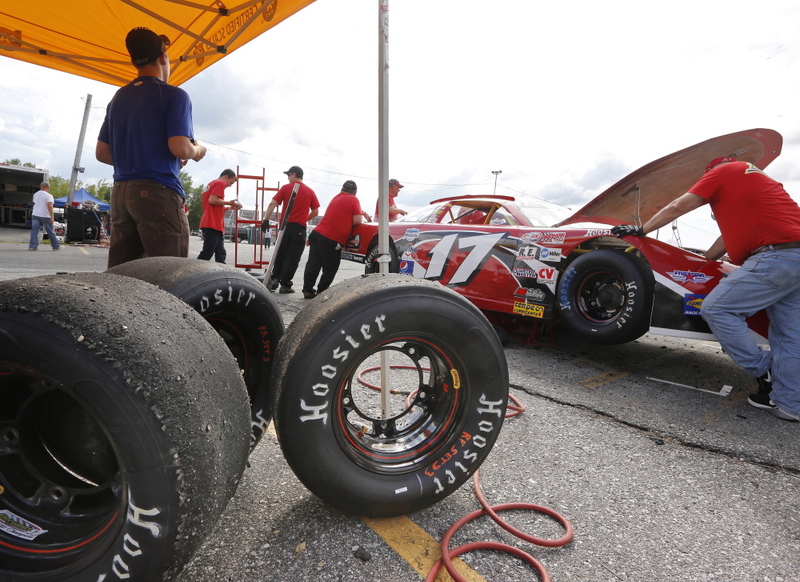 Clark had pitted twice early in the race, nearly gotten lapped, and changed tires before the halfway point. He assumed the lead when Theriault pitted on Lap 184 and at one point opening a big lead. 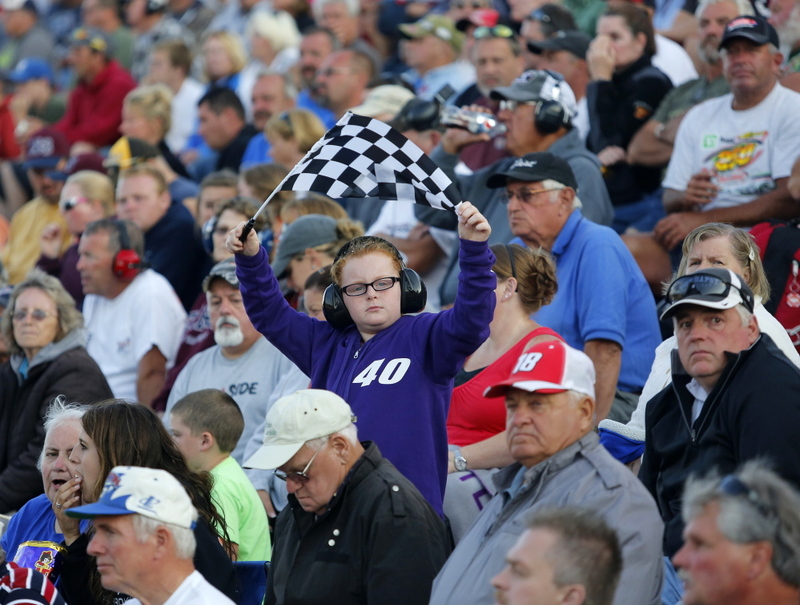 But once Benjamin and Theriault closed ground thanks to a Lap 210 yellow flag he knew he was in trouble. “Fifty laps into the race I don’t think anyone would have thought we would have been in a position to win but we really didn’t need that caution to come out,” Clark said. TJ Brackett of Buckfield finished fifth. 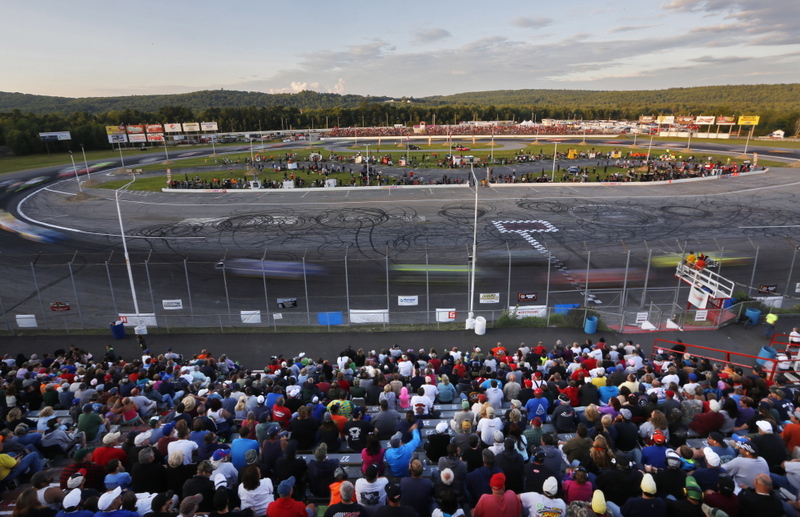 Tyler Dippel of Wallkill, New York, Derek Ramstrom of Worcester, Massachusetts, Ben Rowe of Turner, David Oliver of Standish and Shawn Martin of Turner rounded out the top 10. Joey Doiron of Berwick, the 2013 runner-up, led 65 consecutive laps in the first third of the race and was still in the hunt late before dropping to 11th. The one big wreck of the night happened on Lap 125. 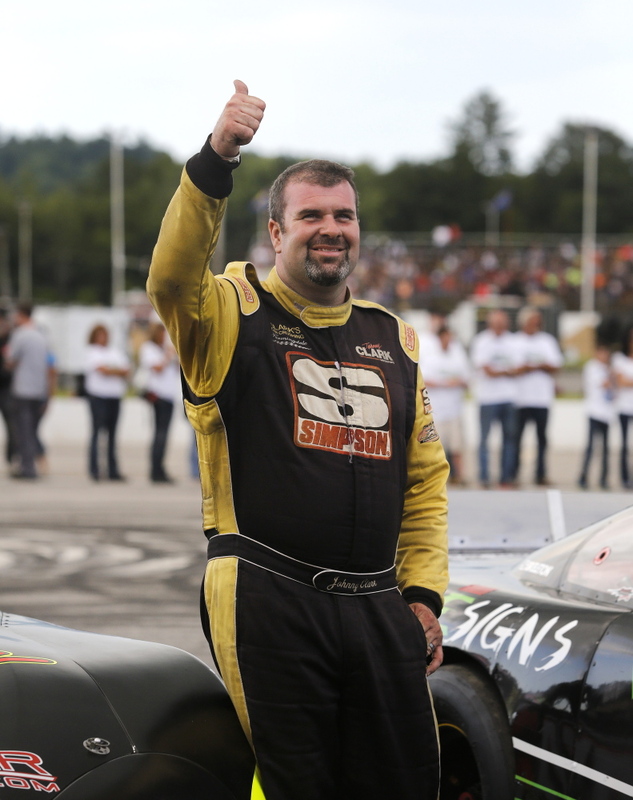 Former Busch North Series champ Kelly Moore was running in the top five for most of the first half of the race when he was involved in a vicious pile-up on the front stretch with Scott Mulkern, Glen Luce and Alan Wilson, knocking all four out of the race.